On September 5, Indians had a new experience with their fund transfer capabilities. TransferGo, a popular company in the country, launched its new feature allowing its Indian customers to remit funds to any place within Europe instantly. To make this happen, TransferGo had partnered with Ripple Labs. With this partnership, TransferGo joined the few entities in the market that facilitate instant fund transfer powered by the blockchain technology. The technology is provided by Ripple Labs. The new instant money transfer feature was rolled out and began operations immediately on 5th September 2018. TransferGo aims to use Ripple’s technology to replace the previous SWIFT (Society for Worldwide Interbank Financial Telecommunication) system that hasn’t been very effective due to its slow nature. SWIFT can take up to 3 days for a transaction to go through, and that’s really not what the world needs right now. In that case, a system that facilitates instant funds transfer is very well embraced, especially in a fast-growing customer base like India. According to Asheesh Birla of Ripple, the blockchain tech company aims to gain from the huge Indian 70 billion remittance market. Ripple has been looking to penetrate the Asian market to promote its blockchain technology, and the new partnership with TransferGo presents that golden opportunity. To achieve the current level of success, Ripple had to act smart. Asheesh says that his team realized that the 3 largest Indian banks held about 80% of the banking market share, and therefore having these banks at its corner would give the company the same 80% of the market in India. 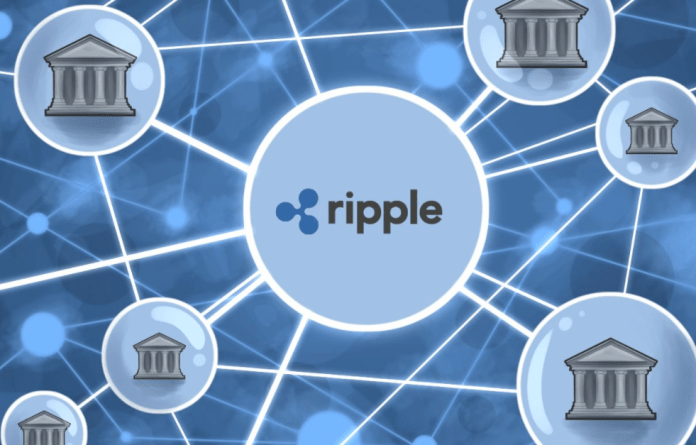 Since most banks are launching mobile platforms supported by telecommunication companies, Ripple singled out telco companies and mobile phone providers as its main targets. It’s Ripple’s prime position as the dominant player in the Indian market that made TransferGo choose it as its partner. Besides Ripple being a power to reckon with in the market, it’s also competing fiercely with the old SWIFT technology that TransferGo has been looking to do away with. Obviously, that worked as another plus for Ripple when TransferGo was shopping for a viable partner. TransferGo has also announced that it will be scrapping money transfer fees between India and Europe, and Ripple will be the backbone for the system. Indeed, TransferGo sees the market expansion as a huge step forward and a green light to create and introduce new services and products to its customers.